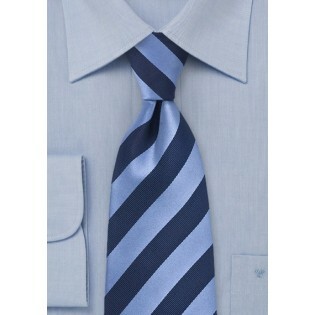 Our Kids Striped Tie in Blue is a great choice for a little boy's first formal accessory. 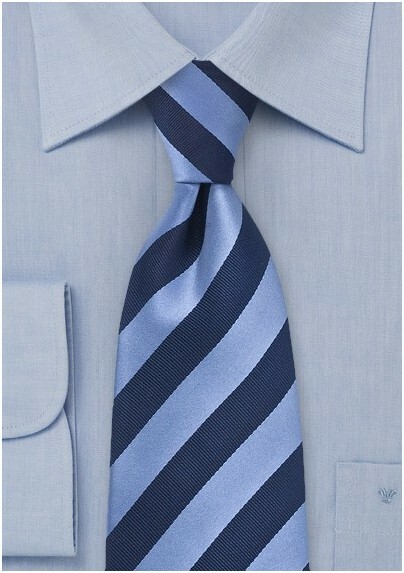 The stunning blue shade compliments the deeper navy stripe for a classically elegant look. Also available in an adults size.